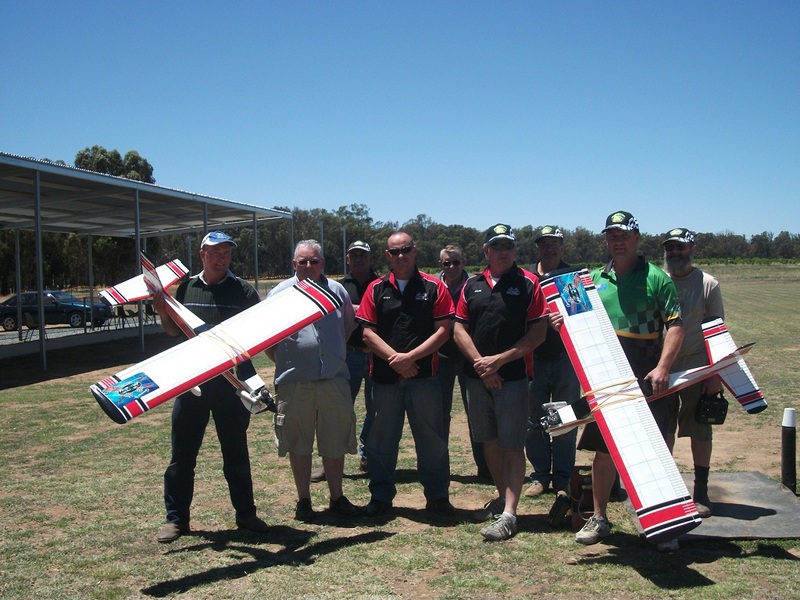 The MMAC (Moira Model Aircraft Club) as a continuation from the Life to enrichment program with the Yarrawonga high school have initiated a learning program with the Yarrawonga primary school to teach any school kids wanting to have a go at aero modeling. This has been a long process orgnising and initiatiating. (12 months). Chris Graham & Jason Sagaidak had a meeting with the primary school and have now got a program worked out to accomidate both parties. This was then taken to our club meeting and was passed to proceed with. The program to start with to see how it goes , we are going to take on four school kids every Sunday for 2 hours. And the school have two Teachers that are willing to bring the students out to the flying field. The instructors where appointed and they are , Jason Sagaidak , Chris Graham , Peter Demore , Brian Harper , with several back up club members such as Frank Rattkie , Dennis Hill , Colin Booth , Bruce Hobbley are all willing to step in and help out with the kids. Now we have commitment from the club it’s time to get started. Ok now for the nitty gritty legal side of things , how does ones club get MAAA insurance for a large group for a school term. It turns out it can be done a couple of ways, 1st is it’s completely up to the hosting club as to how many times an individual can come out ant learn to fly before He/She has to join. However there are a couple of rules that need to be adhered too for insurance. The visitor/ student must sign the visitor book and be accompanied buy a club member at all times. Flying of any aircraft must be done via an instructor with a buddy box lead arrangement. 2nd The VMAA/MAAA do have group insurance that can be purchased per 10 week intervals. However Once the student become proficient and is ready to go solo then membership and or joining the club will need to be done. Now it’s time to look at the aircraft that we are going to use to teach the kids. With a few phone calls and discussions at the field, there where plenty of club members willing to donate their models to the cause, until the club could buy a couple of trainers and buddy box systems. Now we are ready for the first wave of students. A few months ago I approached Scott at PRO HOBBY in Shepparton (our local hobby shop) to find out what would be the best price he could put together for a 40 size trainer and buddy box system together for. I explained to him and Allen what the club was about to embark on. To my surprise Scott (PRO HOBBY) donated 5 ltrs of 10% nitro fuel for the club members trainers to use when teaching the kids from the school. Awsome thanks Pro Hobby. Last weekend Scott and Allen (from PRO HOBBY) came out to our flying field to have a fly and socialize with the club members , When the club president turned up (Brian Harper) Scott & Allen asked if they could have a Quick Meeting with all members that where at the field ,& that he had some exciting news he wanted to share with us. To our surprise and with great gratitude Pro Hobby Shepparton donated not one but two 40 size trainers complete ready to go with buddy box systems , spare props, glow plugs & fuel. Scott also donated any repairs or parts that the aircraft my need that Pro Hobby would look after it. This simply Blew us all away!! What an awesome donation for the kids to learn on and the MMAC will put it to good use. THANK YOU PRO HOBBY & Scott and Allen for making it happen.